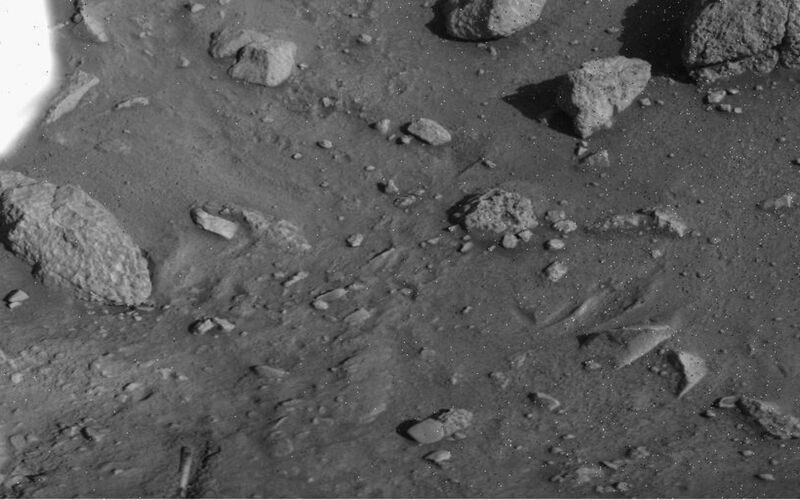 This image, which has been flipped horizontally, was taken by Viking Lander 1 on August 1, 1976, 12 sols after landing. 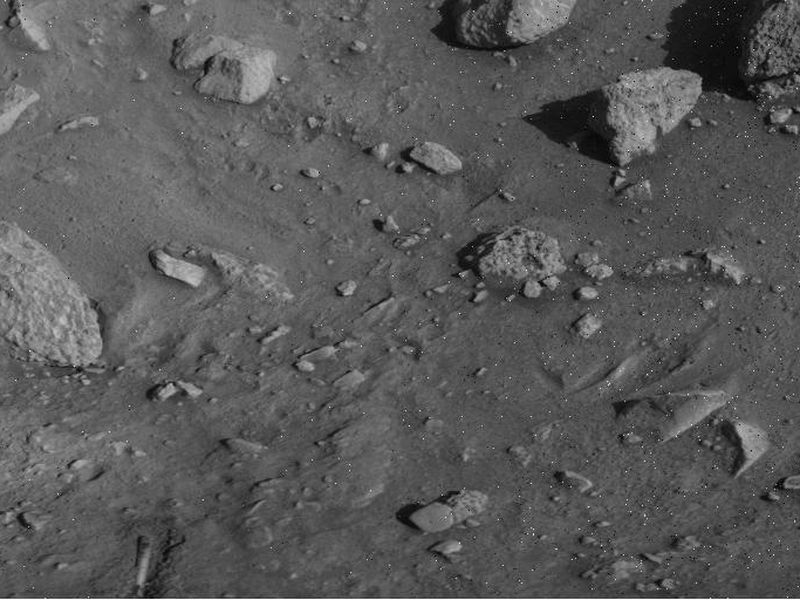 Much like images that have returned from Phoenix, the soil beneath Viking 1 has been exposed due to exhaust from thruster engines during descent. 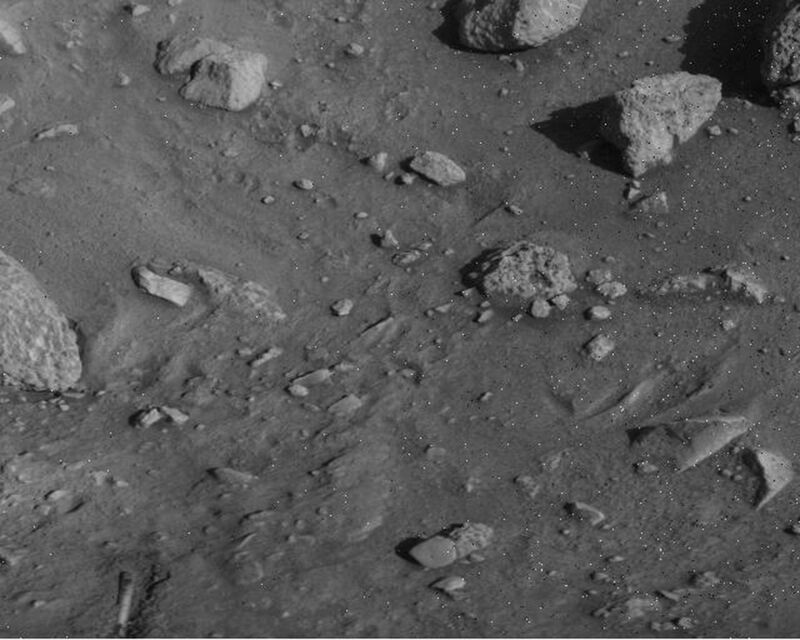 This is visible to the right of the struts of Viking's surface-sampler arm housing, seen on the left.